Sometimes headlines can tell the whole story. That’s true, at least, when it comes to massive open online courses, which took the world of higher education by storm about two years ago. This very newspaper wasn’t exempt from overt enthusiasm: “For those truly invested in higher education, massive open online courses are a win-win,” The Hatchet’s editorial board wrote in January 2013. We, like many others, thought free courses available to virtually anyone would help bridge the gap between those with degrees and those who had been discouraged by the costs of attending college. But the opinions underlying the headlines seem to be changing. After about a year and a half of tentatively wading into MOOC offerings, it should be clear to GW that the drawbacks outweigh the positives – and it’s time to get out of the game. The University recently announced that it was preparing to launch a MOOC on the Federal Reserve, a plan that’s likely too late to reverse. But going forward, the best course of action would be to ditch MOOCs altogether, instead honing in on other online programs that have gained popularity, become easier to build and – here’s the kicker – actually make the University money. Only about 23 percent of top educators think MOOCs are “a sustainable method for offering online courses,” according to a 2013 online learning survey from the Babson Survey Research Group. 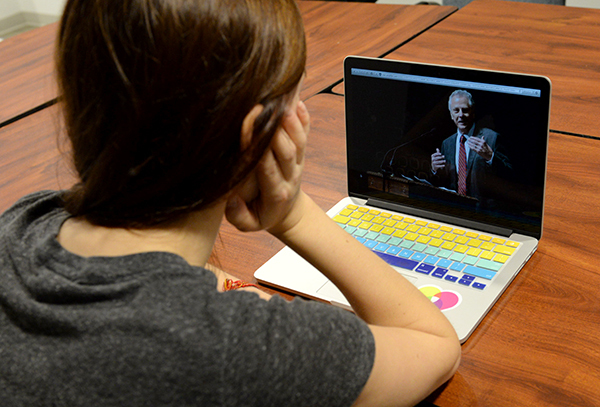 Granted, MOOCs are still being offered across the country. And while they do draw attention to top professors and promote schools’ brands, experts have realized that MOOCs aren’t the revolutionary game changers they initially thought they would be. Professor I. Elaine Allen, co-director of the Babson Survey Research Group at Babson College, told me it is increasingly obvious that MOOCs have dismayed some academic leaders. “Schools thought that it would bring in more students to their schools, and it hasn’t happened,” she told me. A lot of schools “backed off” MOOCs, Allen explained, once they realized that the students who enrolled in the courses were often the same ones physically sitting in classrooms. Only about 4 percent of students who enroll in a MOOC end up actually earning a certificate of completion, a red flag for MOOC advocates who hoped to prove – through size alone – that these courses would revolutionize college teaching practices. Evidently, MOOCs haven’t exactly democratized the U.S. higher education system. The chance to provide educational opportunities to a whole new demographic of students was initially a big reason to get in the game. But now that we know it isn’t happening, GW has reason enough to adjust its focus. The University started out slow with MOOCs and never really picked up speed. 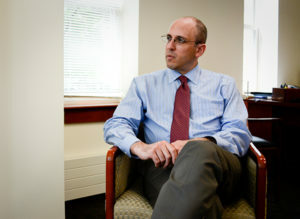 In an April 2013 speech on the topic, Provost Steven Lerman said GW should aim for a “measured, but participatory” response to the MOOCs craze. Lerman admitted that MOOCs as revenue generators were “probably not a reasonable aspiration,” but asserted that the apparent lack of financial benefits alone didn’t mean they were a bad idea. Former GW Law School Dean Paul Schiff Berman took the helm of the University’s online initiatives two years ago. “Universities aren’t here to make money, and perhaps the idea is that MOOCs aren’t here to do that as well,” he said in the speech. That lofty language is admirable, but the approach seems shortsighted for a tuition-dependent institution with a comparatively small financial base like GW. And notably, Berman also explained that GW hasn’t poured a ton of money into the program. “I have successfully raised funds and in-kind donations from corporate and foundation donations to offset nearly all our MOOC-related expenses,” he said. Berman made a wise decision there, but let’s take this one step further: Given the lack of obvious financial return – and the negligible gains in other areas – it’s best that GW get rid of the MOOCs program altogether. To be clear, I’m not advocating for GW to abandon its entire online academic programming: MOOCs are different from online education in general, which schools provide in exchange for a per-class fee. Undergraduates often take them so they can graduate on time (or even early) or to supplement their classroom studies by learning a skill they missed along the way. College graduates enroll when they’re interested in a specific GW program, but live too far away to take classes on campus. Online education has also become increasingly popular for veterans, a population to which GW caters. These programs have been lucrative for GW. In fact, they’ve boosted the University as GW and other schools nationwide have seen a decline in graduate enrollment, now that the economy has improved and more prospective students opt to enter the workforce instead of earning additional degrees. Online education is a wise bet for a University looking to advance itself in a 21st century academic environment. MOOCs? We can skip them. Allen said while it might be too soon to tell whether the business model for MOOCs is sustainable – “Faculty will not teach for free forever,” she said – there’s still room for innovation in the way schools reach students online. But the players competing in this game have been far ahead of GW from the outset: Schools like Harvard, MIT and Stanford have had larger budgets and were in it to win from the beginning, whereas GW’s approach was decidedly wary. The University isn’t losing money on MOOCs, but that’s not a reason to maintain the program. Schools that commit time, energy and resources to MOOCs might gain something from them. But GW’s slow pace won’t get it anywhere – especially when it has a series of other online programs that could produce greater returns if supported. MOOCs were never right for GW. Now, it’s time for the University to wrap up this grand experiment and move on. 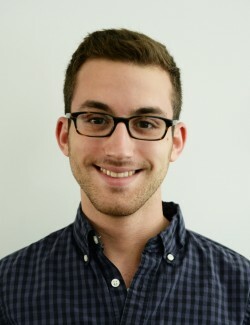 Justin Peligri, a senior majoring in political communication, is a Hatchet senior columnist. This article appeared in the November 10, 2014 issue of the Hatchet.